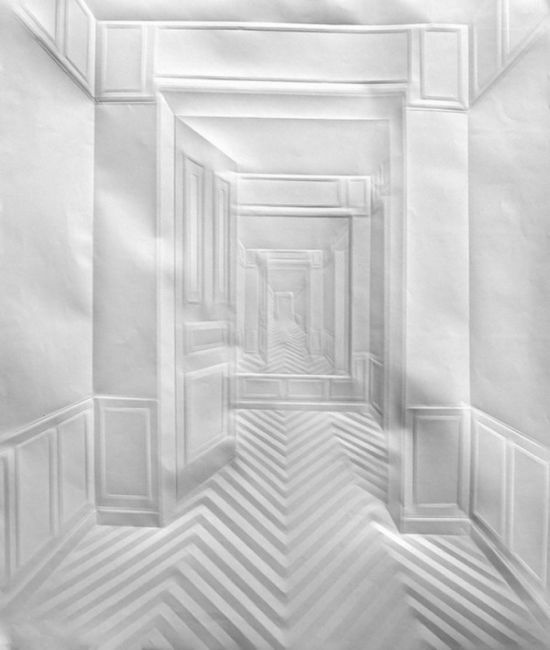 My take: What at first glance appears to be a pencil work is actually a paper art by making tiny folds on a paper. 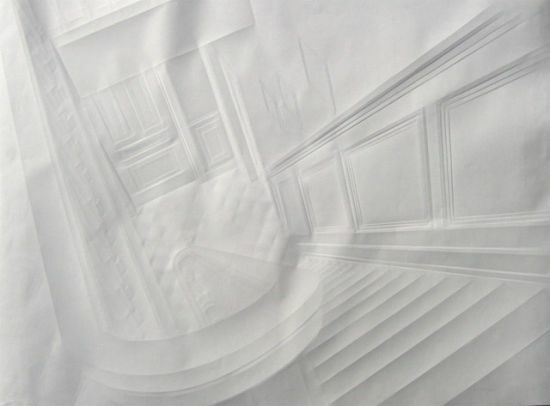 Simon Schubert, 33, an artist from Germany has perfected the art of folding papers, and then converting them into these convoluted designs. 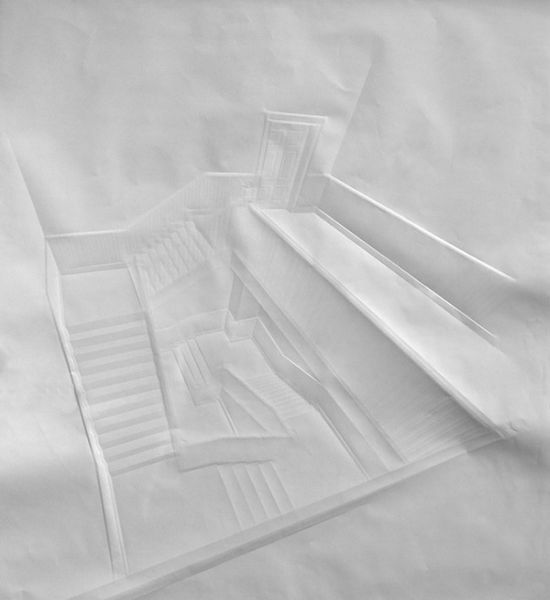 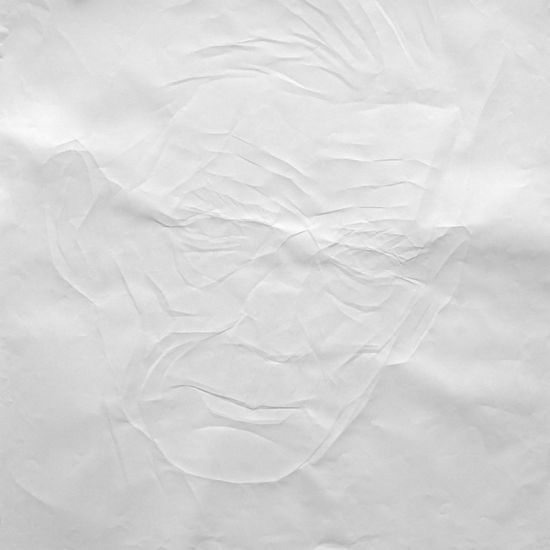 Simon says:“Most of the people who see the work are surprised that the pictures are created by folding paper, they don’t believe it when I tell them. 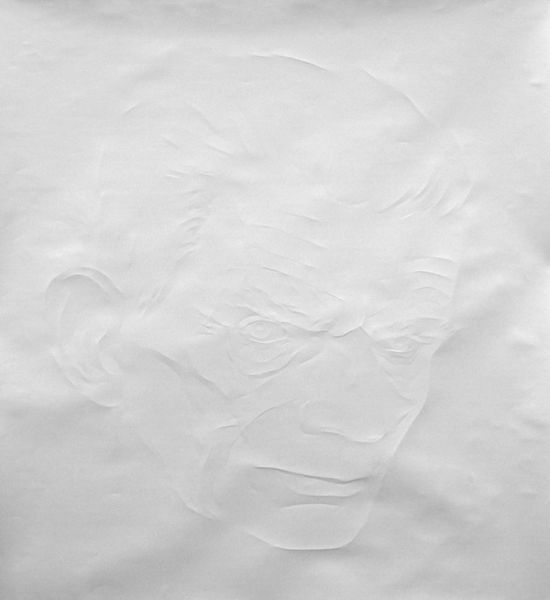 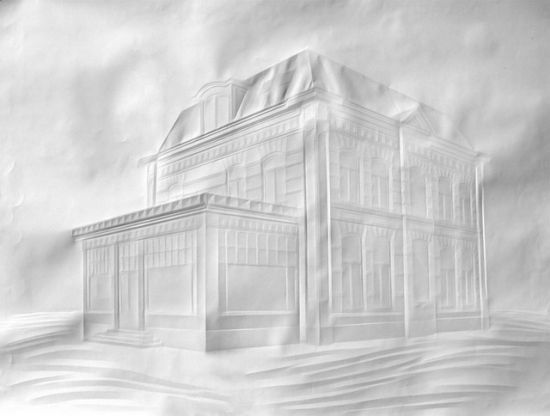 His paper art is currently on display at the Upstairs gallery in Berlin, till June 27th.